Mario Schlosser earned his Master’s Degree in Electrical Engineering from the University of Hannover in Germany in 2002. During that time, he was also a Visiting Scholar in Computer Science at Stanford University. He then earned his MBA at Harvard Business School, and went on to launch several technology companies that included Vostu. Mario also became involved in technology investments, an interest that he pursued at Bridgewater Associates (where he was Senior Investment Associate) and other companies. Then in 2012, Mario founded Oscar, an innovative health insurance start-up that allowed him to combine his passions for technology and healthcare. 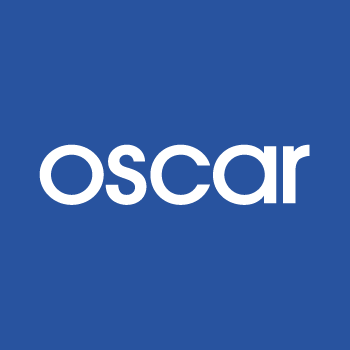 Oscar is a consumer-focused health insurer, unlike any other, that is dedicated to using technology to humanize the experience of customer care. Among other benefits, Oscar offers its members quick access to telehealth consultations with plan physicians, a dedicated healthcare concierge, a proprietary and full-featured health management app for all members, and a health clinic in Brooklyn that offers primary care along with wellness activities like yoga. Mario Schlosser is recognized as a visionary in the world of healthcare, both for what he has accomplished and for his informed view of where health care is going in the future. We are pleased to include some of Mario’s insights, which we quote from a recent conversation he had with Kevin Pereau, The Digital Health Guy. Kevin Pereau: At the time you started Oscar, all of us in health care were experiencing what seemed like gale-force headwinds. Although investors thought that healthcare was a good place to be, many held back from getting involved, thinking that consumers would never become fully engaged in managing their own care. Insurers were caught up in old ways of doing business and often seemed to be several levels removed from the people who used their products. Hospitals and caregivers were operating on a model in which they generated income only when people became ill, and there was not much business interest or investment in keeping people well. Yet from a different perspective, 2012 was a wonderful time to be involved in health care, because everything was broken, right? So there were a lot of opportunities that were created by all the problems. Mario: Definitely, there were problems in both the good and the bad sense, right? Exactly right. When we started Oscar, we talked about the fact that health care was way too complicated and way too costly as well, and that those two things were obviously related. And that they created opportunities too. My wife was pregnant at the time. We couldn’t figure out the bills, couldn’t figure what was going to happen next in her care, and didn’t feel like anybody was out there watching over what we ought to be doing next – not our physicians, not our insurers, in essence, no one. We thought that there was a real need for a different kind of entity in the world of health care, a company or health care system that would have your back. The vision behind Oscar was as simple as that. So we envisioned a company that would be watching what was going on with you, one that would recommend and provide necessary services on your behalf, with the goal of helping you achieve better outcomes and lead a healthier life. And we thought that an insurance company was in a very powerful position to do all those things in theory, because an insurance company is positioned to have reams of data, to get all the bills for all the services that consumers encounter, and one that can put all that information into the system. That’s a very powerful place to be from the standpoint of impact. Kevin Pereau: Do you think of Oscar as a health care insurance company or as a health care technology company? But one reason that I think we’re more of a tech company is that tech companies are accustomed to taking risks. And I think the art and the science of risk-taking is going to have to be learned by pretty much everybody in health care. We have seen that already. More and more hospitals are dealing with risk. So are more device-makers, physicians. So the big transition in the U.S. health care system in the next few years is going to be that currently companies and care providers are secretly happy when costs go up, and that has to change. You cannot, in my view, have such a system. You have to orient it more around enabling the players in the system to own the member experience end to end, and for the member’s entire life. That is not the case now. Currently many insurers expect that their customers will be with them for two or three years on average. At Oscar, we’d love our members to be with us for two or three decades. We want to be with them for their entire lives. We want to help them know how to achieve much better outcomes, and we want to be there with them for the long term. That kind of orientation, I think, represents a very big change. Kevin Pereau: That will be a huge disruption. As a result of that change in the way insurers think and act, do you think that the roles of doctors, hospitals and other care providers will somehow follow suit and change too and orient around the customer experience? Mario Schlosser: I do. As we know, the way health care is currently being reimbursed is generally on the model of sick care, not interventional care. But overall, more entities are starting to realize the importance of investing in preventative care and wellness. That change has to happen, has to change, for sure. I have seen big longitudinal studies of health care that show that something like 35 or 45 percent of a person’s entire life actually revolves around health care. So I think we are going to have to start looking in a really serious way at the issue of how care is delivered. At Oscar, we are starting to look at ourselves almost as though we are a subscription service, not an insurer. Members pay a monthly fee, and we reinvest most of the money we make in developing better outcomes for them. If we can really look at our company in that way and assume we can eventually keep our members for a couple of decades, that changes things. As a member, you invest that fee in us, and we invest in on your behalf in new care and wellness offerings, and you get a lot more value that helps you stay well and avoid becoming ill in the first place. Kevin Pereau: How do end-users – your members- perceive that kind of change? Mario Schlosser: One thing we clearly have noticed over the last few years of building this out is that when we can get members engaged in one aspect of our product experience, they start to use more of our products for other parts of managing their health care as well. When we first launched, for example, we began to pay members a dollar a day for walking a certain number of steps. One of the first things we noticed was that after we started doing that, participation in that program also drove up our telemedicine utilization. It makes sense that when people start to use one aspect of our care, they discover and start to use other offerings too. There is a big button on our app that lets members talk to a doctor immediately, for no additional fee. People discover and use that, and that leads them to make more discoveries and use them too. And the longer we can keep you as a member, the longer we can train you and help you discover and engage more. And the more data we have, the more we can anticipate what is going to happen and what you are going to want. And the more we can anticipate and offer services accordingly, the more we can engage our members. Kevin Pereau: As you look back, can you describe any missteps that were made as companies moved into applying digital solutions to health care? Where did health care companies get it wrong in the earlier generations of the marketplace? Did we expect more young people and millennials to be buying services from their phones, for example? Mario Schlosser: In the insurance market, it took a few years for things to shake out, before insurers could get to the place where we were pricing things just right. The government and the regulatory bodies simply didn’t get a lot of things right in the beginning, and didn’t get on top of trends quickly enough. But I think those were a couple of difficult years that we all had to go through. The other thing that happened, I think, was that the health insurance companies didn’t know how to rethink the service model. They weren’t prepared to really connect with their members. Their first efforts with new technology came via interactions with a bunch of middlemen – the brokers, the consultants, and so on. So it was a much more raw market, one they didn’t know how to deal with. There were shakeouts and companies closed or remained stalled, and that put more pressure on the ones that remained, to try to make this work, like us. It took a while, but I do think we are beginning to see some real utilization on the part of health care consumers. I think another thing that the market got wrong was focusing too much on premiums and too little on the total cost of care. You know, it is cheaper for our members to have free telemedicine included in their plans, and to have access to urgent care. It is much better for them because we know exactly which drugs they are taking, which care providers they are seeing. And we can track them and talk to them. Using that data, we can connect them to our own internal systems, to the right doctor at the right time, for example. And when we can connect our members to the right physicians at the right time using our data, that keeps costs down and dramatically improves the quality of care at the same time. There is a kind of learning curve problem to address, because too many people today end up buying the premium without necessarily knowing what kind of care they are going to get. I think that’s one big problem, but I think that is going to shake out over time, as people come to understand that the experience matters. A plan is not good because of its cost, but because of the quality of care it delivers. We, like other companies, have to find a better way to highlight that in our communications to the marketplace. One obstacle is finding ways to communicate that fact to consumers who are in company health plans, because the HR departments, you know, kind of get in the way. Kevin Pereau: I sense that with some large insurance providers. You could bring them the shiniest new object in the whole world, the greatest new idea to improve health and the customer experience. But if they don’t know how to get what you are offering out to their customer base, they are not interested. And at the same time, they’re sitting on a mountain of data about their customers that they could be using. Mario Schlosser: It’s a huge question. It helps explain why one of the biggest uncertainties we faced from the ground up was whether we should be an insurance company. We wondered whether consumers would ever trust an insurance company to help them get the best advice on their care. End-users, based on their prior experiences, often don’t think that any insurance company would ever take on that role. But for us, the answer to that question is becoming very clear nowadays. We have a higher engagement level with our members than any other insurance company out there has. One reason is that our members have tried us out, and have seen that what we are offering works. For example, about 40% of Oscar members have used us to find a primary care physician for the first time. Similar numbers of our customers have used us to find a PCP, a specialist, and so on. And they are using our app to talk to a physician or book an appointment. Part of the high acceptance rate is shaped by our interface. When you call us, a human representative always picks up the phone and talks with you. When you use our app to connect with your care team, you see the names and pictures of the six people who are on it. One of them is always a nurse. And approximately 40% of our members use our app or Concierge service to route them to the kind of care they need, and connect to a real, living person who has access to their data. And when those members see Oscar recommended physicians and other caregivers, the cost of care is on average 10% lower than what consumers are paying elsewhere for the same kind of care. From the very beginning, we provide a unified experience – we explain to you and remind you and connect with you. And that is far different from the patchwork solution that consumers experience with other insurance companies. You have had the typical experience of connecting with a physician who doesn’t have your medical records, who doesn’t know what medications you are taking, and so on. At Oscar, we understand that when you call us or chat with us, there is a 70% likelihood that you are going to have a physician visit within the next four weeks. So in that contact with us, we have a nurse come on the call who will say, “Let me help you find the physician you need . . . let me make an appointment for you . . . let me go over your medical history and medications.” Then the doctor you are going to see gets that information before your visit. If you have been working with other insurers, you will be surprised how this works. Other insurers are perhaps too busy to direct you to the care you need, or to lay the groundwork that leads to a doctor visit that is better, more efficient, and less costly. Kevin Pereau: You’re making me want to become and Oscar customer. Plus, that kind of preliminary experience takes guesswork out of it. For somebody with diabetes or hypertension, what a big difference that can make. Do you have an investment fund, so that if some of those best-of-breed innovators come in with technology you can use, you can partner with them, and let them come in and be part of what you are doing? Mario Schlosser: We don’t have a fund. It’s something we have been thinking about. When it comes to partnership, we often prefer to develop technologies and systems ourselves. Some of those decisions can be complicated. As an analogy, let me mention that when developing the iPhone, Apple decided not to use an email app that had been developed by third parties. Apple knew they had to build the most important apps and the most important parts of the consumer experience themselves. And we tend to think in exactly the same way. Because otherwise, we realized, we couldn’t really control the way data is used throughout all of our system. In general, I think the important consumer experiences should be built, tested and refined internally. We are quicker at building and testing and refining if we do it internally. Telemedicine, for example is one functionality that is very important to us. Also, when we build various modules internally, it makes it easier to share data between them. When we build them, it is easier to share. Kevin Pereau: This all seems simple and well conceptualized, but it has profound implications for how consumers will experience and manage their care. Mario Schlosser: I am excited to see what is going to happen in the next few years. 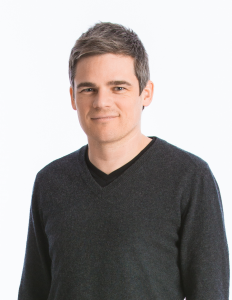 Mario Schlosser is Founder and CEO of Oscar, a consumer-focused health insurer that is dedicated to using technology to humanize the experience of customer care. Oscar offers its members quick access to telehealth consultations with plan physicians, a dedicated healthcare concierge, a proprietary and full-featured health management app for all members, and a health clinic in Brooklyn that offers primary care along with wellness activities like yoga. 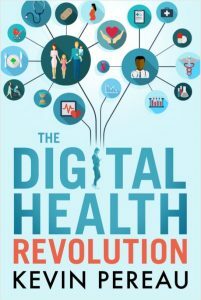 Big thanks, Mario, for talking with me and contributing to my book, “The Digital Health Revolution” Kevin Pereau – sign up here for updates and get your copy today.